Our shining hero Nora dress is cut with an asymmetric neckline, short batwing sleeves and an asymmetric hem line. The simple shift dress silhouette is flattering and softly skims the figure with its light cotton lining. 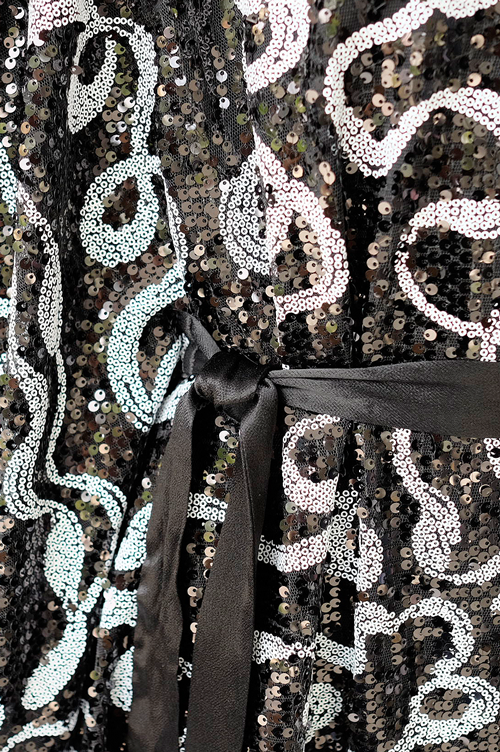 The black and white sequins material adds considered detail to the look and the satin self-tie waist belt will cinch the figure at its smallest part.